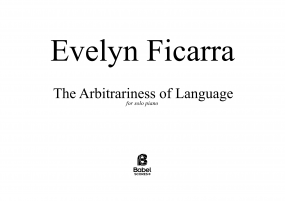 A dual citizen (UK/USA), Evelyn Ficarra studied composition at the University of Sussex and at the University of California, Berkeley, and has several years’ experience as a freelance composer, teacher and sound editor. 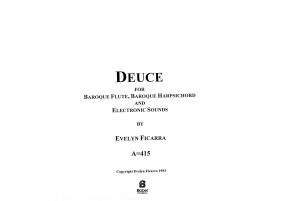 Her focus is on electro-acoustic and collaborative work including music for dance, film, theatre, radio, installation and the concert hall. Her music has been heard in concert halls, theaters, music festivals, film festivals, on television and in radio broadcasts in the UK, Europe, the Americas, Australia and the Far East. Her solo CD Frantic Mid-Atlantic is available on the Sargasso Label www.sargasso.com. 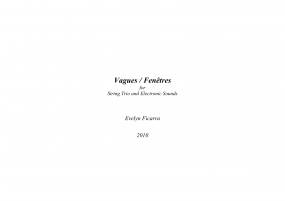 Recent projects include vagues / fenêtres for string trio with electronic sounds, (premiered at the 2009 MANCA Festival) and The Arbitrariness of Language for solo piano, performed in the USA and Switzerland by Eva-Marie Zimmerman. 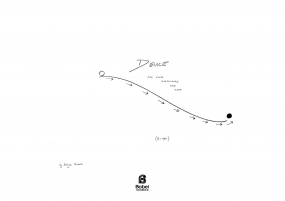 On-going collaborations include short films about water / submarine, with video artist Ian Winters, in/apt with dancer/choreographer paige starling sorvillo, and Sons of Concrete, a laptop improvisation duo with composer Heather Frasch. Recipient of the 2010/2011 ‘George Ladd Prix de Paris’ she is currently living in France.